Tomorrow, executives and advocates arrive at the Hynes Convention Center in Boston to talk about-- etc-- everything related to the burgeoning marijuana industry in the United States. Yesterday was the 80th anniversary of the H.R. 6385, passed by the House to impose-- for the first time-- federal criminal penalties on the possession, production and sale of cannabis. Last year Massachusetts voters backed legalization with a comfortable margin-- 3,491,890 (53.6%) to 3,026,608 (46.4%) and retail marijuana shops are scheduled to start operating in July, 2018. Yesterday, Peter Bernard president of the Massachusetts Grower Advocacy Council told state regulators that "a broad, commercialized cannabis industry in the Commonwealth would drive down retail prices dramatically, resulting in lost potential tax revenue and a monopolistic stranglehold on the market. Commercialization of cannabis cultivation will bring the Walmart of Weed to our Commonwealth, squeezing out opportunity for smaller and more skilled cultivators to take their rightful places in the industry." He added that Massachusetts pot users want higher quality cannabis, not the "Pabst Blue Ribbon" equivalent. He's advocating for craft cooperatives instead. Call Matt Stoller and Barry Lynn! July was the first month of legal recreational marijuana sales in Nevada, which announced the tax impact on Friday-- $3.68 million in tax revenues for one month of medical and recreational cannabis sales. There are 2 taxes-- a 15% wholesale tax on growers (for state schools) and another 10% sales tax at retail put into the state's rainy day fund. • A Patient and Caregiver Panel where you can hear stories form families whose lives have been turned around thanks to Cannabis. 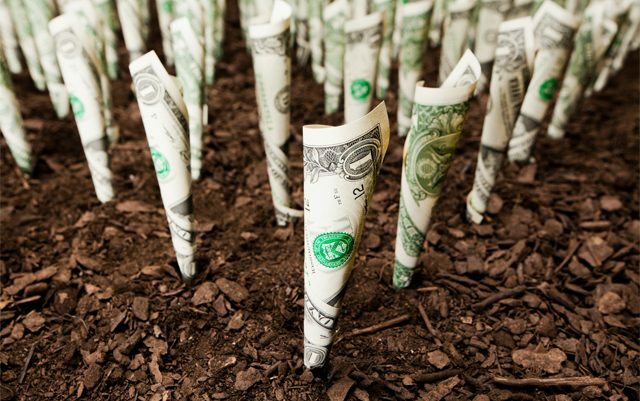 • An Investing in Cannabis Panel where you can hear from top executives of publicly traded companies on tactics and what to look for from an investment point of view in the Cannabis industry. • Cannabis as an Alternative to Opioids-- learn about how cannabis can provide not only an alternative to opioids but as a potential treatment for opioid addiction. • Cannabis and Sports-- learn about the potential use of cannabis and cannabinoids for treatment of sports related injuries, like Chronic Traumatic Encephalopathy (CTE) and pain management. • Pharmaceutical Cannabis Developments-- learn about new innovative technologies and research being done by companies on diseases like cancer, epilepsy and Multiple Sclerosis. There won't be any delegates at the conference from North Korea, and that's a shame, since North Korea is one very pot-friendly country. No, really. North Korea, the most tight-lipped, conservative, and controlling country in the world is also a weed-smoker's paradise. Despite the government's deadly serious stance on the use and distribution of hard drugs like crystal meth (which has a notorious legacy in the country), marijuana is reportedly not considered a drug. As a result, it's the discerning North Korean gentleman's roll-up of choice, suggesting that, for weed smokers at least, North Korea might just be paradise after all. ￼NK NEWS receives regular reports from visitors returning from North Korea, who tell us of marijuana plants growing freely along the roadsides, from the northern port town of Chongjin, right down to the streets of Pyongyang, where it is smoked freely and its sweet scent often catches your nostrils unannounced. Our sources are people we know who work inside North Korea and make regular trips in and out of the country. There is no taboo around pot smoking in the country-- many residents know the drug exists and have smoked it. In North Korea, the drug goes by the name of ip tambae, or "leaf tobacco." It is reported to be especially popular amongst young soldiers in the North Korean military. Rather than getting hooked on tar and nicotine like servicemen in the West, they are able to unwind by lighting up a king-sized bone during down time on the military beat. Despite the fact the government doesn't crack down on the use of marijuana (or opium) and its prevalence among the common people, traveling weed enthusiasts eager to sample some NK bud will likely be disappointed. If a Western tourist asks his or her guide where is the best place to get the "special plant," as it is euphemistically referred to, the guide will most likely eschew the question. Most of them are educated enough in Western legal attitudes toward marijuana to not feel the need to promote anything that might attract negative press. Then again, bring them a bottle of Hennessy and they might be more willing to help you out. 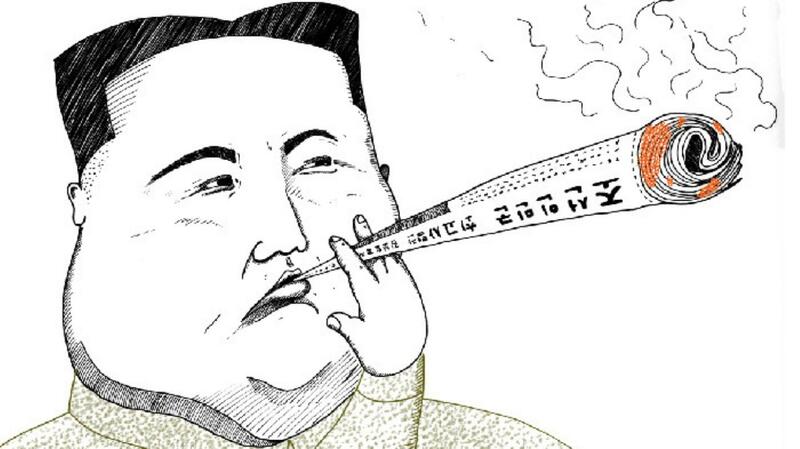 The reasons for smoking weed in North Korea differ from America. In North Korea, you don't smoke just to get high and laugh at your own hand, you do it to save money and as a break from the ubiquitous cheap local cigarettes. In the black markets of North Korea, marijuana is commonly sold at a cheap price and is easily obtainable. Therefore, the drug is especially popular among the lower classes of North Korean society. After a day of hard manual labor, it is common for North Korean workers to smoke marijuana as a way to relax and soothe tight or sore muscles. Although weed grows naturally on the Korean peninsula, it is cultivated more formally in some areas. The herb is often grown in the private gardens of North Koreans. An American who travels to North Korea every year commented on Reddit, "We came to a garden one day and took one look and said, 'that is weed!' We went over and sure enough they were growing marijuana. I had heard it is used for medicine but finding it was interesting." Reports of marijuana use date back to the formation of the nation as it exists today. After the Korean War, US soldiers commonly plucked the herb from the DMZ areas near the North Korean border and smoked it. Stories of tents being hot boxed by tired fighters is a common recollection in the folklore of the difficult era. I wonder if nowadays North Korean soldiers get stoned and sit around a radio, noisily slurping tangogikuk and giggling while listing to Señor Trumpanzee ranting and raving and calling their god-king crazy names.